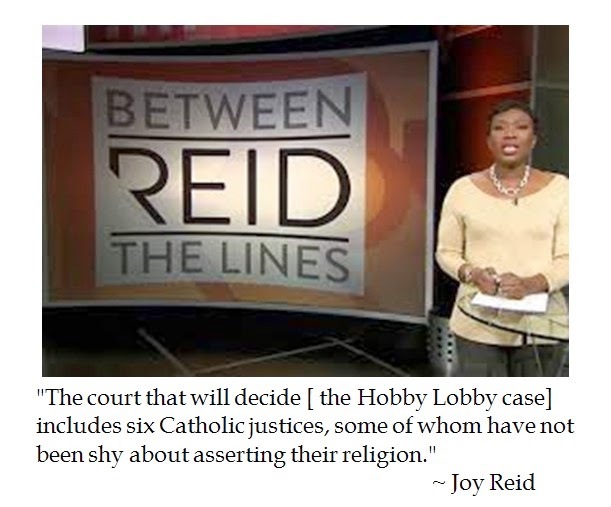 When MSNBC was reporting on the Hobby Lobby which was going to be argued before the US Supreme Court, Joy Reid's video package included some naked Catholic bigotry. 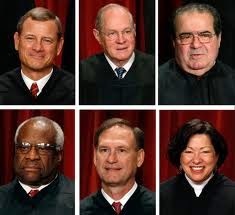 Rather than settle for arguing the merits of Sebilius v. Hobby Lobby for the State (as is MSDNC's wont) on whether corporate personhood can include religious convictions, Joy Reid impeached the credentials of two thirds of the nation's highest court based on religion. While Reid's legal analysis might acknowledge the Religious Freedom Restoration Act of 1993, she is blissfully ignorant of Article VI paragraph 3 of the Constitution regarding no religious test. Jeff Dunetz observed that MSNBC is hypersensitive about racial implications. So if court commentators hypothetically opined about three African American judges voting together, this would be condemned as racism. Dunetz, who writes Yid with Lid, noted: "However because Joy Reid was questioning Catholic judges, it’s no big deal. In the world of the mainstream media it’s only bigotry when directed toward certain groups, blacks, women, Muslims, Hispanics, etc.". Yet liberals are quick to condemn conservatives for supposedly judging people because of their race or creed. It is sad that unwarranted accusations against certain groups of faithful, such as Roman Catholics or Latter Day Saints (Mormons) are accepted by progressive posses but judging the actions and expressed intentions of Salaphist or Jihadist Muslims is quickly condemned as "racism". 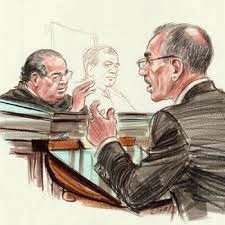 Ms. Reid's read of the Catholic cabal on the Supreme Court proved to be quite mistaken. Arguments before the high court had Justices gravitating their questions from ideological and gender groupings, not from shared creed. In fact, based upon early reporting, the more overt allusions to applications of faith to legal hypotheticals was a question from Associate Justice Samuel Alito , who queried Solicitor General Donald Verrelli (arguing the Obama Administration's case) whether halal or kosher butchers could be banned if legislators passed an animal cruelty law like Denmark. Verrelli's answer was that they could get standing with the Religious Freedom Restoration Act, but they better get their cases to court by raising claims on behalf of their customers using the First Amendment. While CNN legal analyst Jeffrey Toobin called Verrelli's two hours of arguments a "train wreck" for the Obama Administration, other liberal commentators dissented. Let us hope that in late June when the contraception cases are likely to be issued that the Lamestream Media can contain their contemptible secularist biogotry against the faithful. But that is expecting a minor miracle from the media. In the Cazzo of Petrine Obscenity?